Many B2B sales teams are using social media to prospect, but they’re not yet using it strategically to build sales pipeline. Today, smart use of social tools is not only helping sales reps fill the sales pipeline, but it can also accelerate movement through the pipeline from leads to prospects to customers. The fact is, social selling has proven to be very effective for prospecting with the right approach. LinkedIn premium services offer a rich tool kit that can take social selling to the next level. It taps information on many more members, prioritizes them according to likelihood of sales, and exploits all relationships within and outside a selling company to quickly reach prospects and build relationships with decision makers. Premium service can transform LinkedIn from a useful tool into a scalable methodology for managing the entire sales pipeline, from prospecting to close. 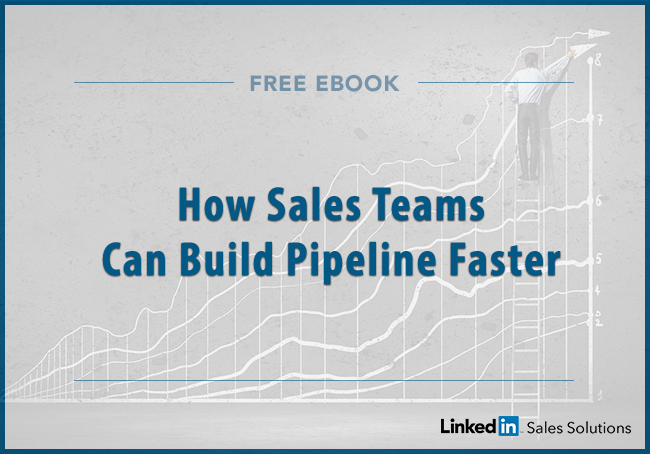 Download "How Sales Teams Can Build Pipeline Faster" today!